Welcome to the Strong Like Her tribe! Here you'll find more information regarding the process of remote fitness programming. PROFILE: When you receive your TrueCoach invitation, finish setting up your account by creating a password and adding some details about yourself. I'd love to see a photo, too! SAVING YOUR INFO: Keep in mind that your TrueCoach account will only be active while you're a paying client. If you want to save any info or data, please copy it elsewhere. Also, you'll receive a daily workout summary email on each day a workout is scheduled, so hang on to those! DEMO VIDEOS: A workout summary will be emailed to you each day a workout is planned; however, you'll need to log in to your Fitbot account in order to view the demo videos for each exercise. NOTES: Under each exercise, there's a section for your to add your results to such as weight used. You can also upload photos and videos for me to review to help keep a set of eyes on your form and technique! HISTORY: Once you've accrued a history with exercises, you can use the clock icon next to each exercise to check on past weights you've used for certain reps or other notes you've recorded. COMMENTS: At the bottom of each workout, there's a space for you to leave feedback or ask questions. 1. The warm-up, in my opinion, is the most important part of your workout. All too often, people speed through or skip it altogether. The goal of a warm-up is to prepare the body for exercise and decrease the chance of injury during training. Within the warm-up section, there are a some required pieces and some optional (time-permitting) pieces. Spend a good 10 minutes here. Ultimately, per my mission to educate and provide workout autonomy, you'll be able to make a few decisions for yourself based on how your body is feeling THAT DAY as you check in with your own needs. 2. Next, you will find a strength segment that includes resistance training exercises. Each exercise will have a demo video highlighted in blue below the exercise name. Under that, you'll likely be given a set and rep *range* to follow (for example, 3 sets of 8-10 reps or "3x8-10") rather than a straight set-rep scheme (3x8, for instance). This allows you to perform the number of sets and reps that fit your schedule, energy level, abilities, all while achieving an adequate volume and load to make progress. 3. Based on your abilities, goals and needs, you'll either be prescribed a conditioning or "intensity" workout. If you are a new client, the goal is to create an aerobic base or foundation first. Once your base has been established, we can start to build up in intensity with interval work. 4. Finally, you'll receive cool down instructions. This is another often neglected part of training. 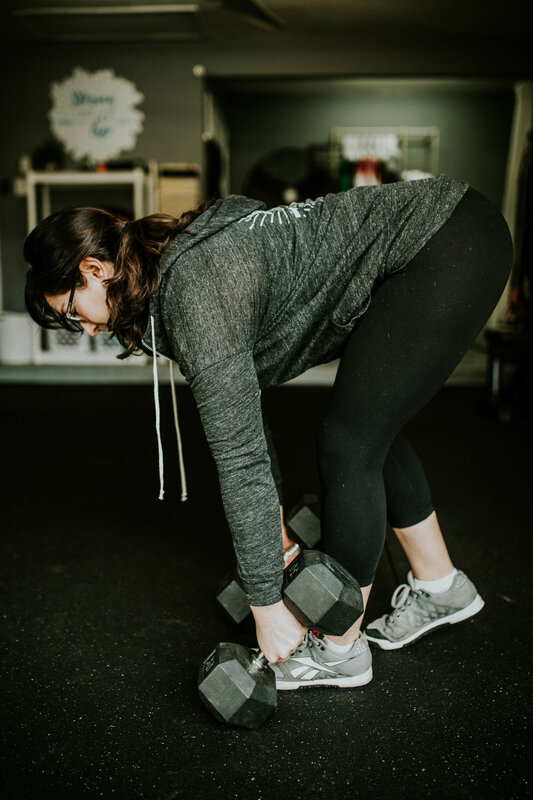 After spending a fair amount of time with your warm-up, strength and cardio components, clients are quick to want to rush out the door and get on to the rest of their day. This is ill-advised, however. Bringing your body "back down" from exercise does wonders for kick starting your recovery. 5. Rest and recovery are crucial to continuing to move toward your goals, which also includes rest and recovery BETWEEN workouts. It helps to be mindful of getting adequate sleep, managing stress, using self-care practices and even therapeutic modalities such as massage or chiropractic care. Active rest is another tool to help recover by doing activities like walking, hiking, swimming, yoga or taking a bike ride. The idea is to not touch the weights or doing anything high-intensity. Practice mindfulness and grace. 6. In any goal setting situation, it's important to not only consider where you're going, but where you've been. Because we do not have the convenience of seeing each other face-to-face for each workout, remote clients are required to submit reflections discussing various aspects of their training each week. 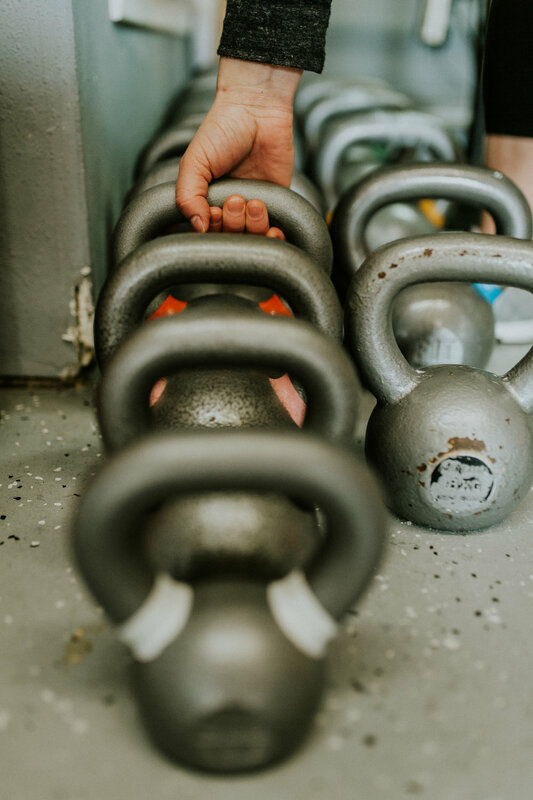 With this information in hand, I can adjust your workouts accordingly and/or better understand and assess your needs to help you make healthy strides towards becoming your best self! 7. The final piece of your online programming comes in the form of tracking your progress. Assessments are biometric pieces of data use to show aesthetic changes like circumference measurements, for example. Benchmarks refers to tests of your fitness. Occasional benchmarks will be used to show progress in the various aspects of your training, per your goals. Next to each exercise, you'll see a labeled letter (A, A1, A2, B, C1, C2, etc.). The letters dictate whether the exercise is to be performed as a single movement, a superset (two exercises back-to-back), a tri-set (three exercises back-to-back) or as a circuit (usually four or more exercises). Under each exercise name and it's respective demo video, you'll see your prescribed sets and rep range. For example, when you see 2x8-10, you are to perform 2 sets of 8-10 reps. Following the sets and rep range, note the rest period between sets, as well as between exercises for a superset, tri-set or circuit, as needed. 3 full seconds to lower (eccentric phase), 1 second pause at the bottom, X-explode to the top (concentric phase), then pause 1 second at the top before performing the next rep. If there's a 0, there is no pause. The first number will always refer to the eccentric phase. If the movement starts up, such as a pull-up, begin counting the rep as you lower yourself down. I don't prescribe exact weights with new clients because I simply do not know you or your body well enough to make that call. Admittedly, it's a little trial and error with new in-person clients, too. Generally speaking, the higher the reps, the less weight you'll use and conversely, the lower the reps, the more weight you'll use. Unless otherwise directed, aim to keep one to two reps "in the tank" starting out, meaning that you are not exhausting your muscles to failure, but could perform one to two more reps (with good form and technique, of course). Email me with specific, bullet-style questions and I’ll be happy to help!